Like each week, the Global Poker Index receives an update concerning the classification of the 300 best players of live poker in the world. For its update of September 4th, the Global Poker Index was always dominated by Jason Mercier. The American keeps the head of the ranking, already since several months and has 3,223.76 points this week. The German Marvin Rettenmaier (3,211.12 points) is just behind, with only 12 little points less on the leader. In the third place, we find another American, Stephen O'Dwyer, who made a leap of six places after his beautiful performances in August. In fact, the winner of the European Poker Tour Grand Final of Monte Carlo, in the month of May of this year, finished 2nd at the poker tournament Irish Poker Championship and 3rd at the Super High Roller of the EPT Barcelona. David Sands enters also in the Top 10, after a 16th place a week ago. 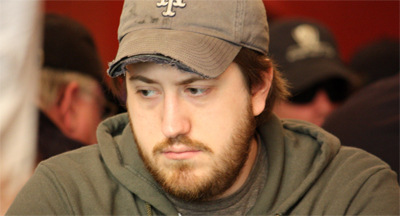 The American got 7 places and this week, he occupies the 9th place of the GPI. Among the other players of the Top 10 of this week, we find Joseph Cheong (4th, -1), Philipp Gruissem (5th), Michael Watson (6th, -2), Daniel Negreanu (7th, -1), Igor Kurganov (8th) and Ole Schemion (10th, -3). The November Nine of the WSOP 2013, Amir Lehavot, signed the best progression of the week, with a jump of 47 places, to occupy the 69th place. Erik Seidel rises also in the ranking with a 33rd place, or a gain of 24 places.